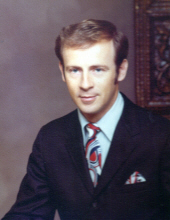 Dr. C. Wayne Starnes, of Little Rock, left this world on April 9, 2019. He loved the gifts God had given him in this life, but being the ever curious, knowledge seeking person he was, he could not wait to get to heaven and experience the absolute perfection he knew awaited him there. He is reunited with his parents and ten siblings, and his daughter, Lisa. Those who survive him and will continue to celebrate his life in death are his wife Betty; his daughters Jennifer Barrick, Melanie and her husband Curtis Mortimore, Valerie and her husband Coy Sullivan. He also leaves behind a legacy of granddaughters: Erin and her husband Jake Barrow, Madison Johnson, Hannah, Emily, and Shelby Sullivan, Clara Mortimore, and finally his great-grandson after 52 years of waiting, Carter Barrow. Wayne was a lover of life and almost everything in it. He loved his plants and the sun on his face. He essentially became a doctor on a dare, but it suited him perfectly. He loved people and he loved helping them. His bedside manner was unmatched, but if you started him on a story, you best made sure there was a chair close by because he would talk for hours. In celebration of his life, a visitation will be held from 6 p.m. - 8 p.m. Friday, April 12 at Heath Funeral Home, and the funeral will be held at 1 p.m. on Saturday, April 13 at Heath Funeral Home in Paragould, AR. Burial will follow at Hartsoe Cemetery. Send memorials to Greene County Historical Society. To send flowers or a remembrance gift to the family of Wayne Starnes, please visit our Tribute Store. "Email Address" would like to share the life celebration of Wayne Starnes. Click on the "link" to go to share a favorite memory or leave a condolence message for the family.